Alexander Scott KUYKENDALL [Parents] was born on 20 Aug 1866 in Near Chanpaign, Champaign, llinois. Alexander married Minnie RACKSBURGER on 24 Aug 1906. Minnie RACKSBURGER was born in 1884 in Near Champaign, Illinois. Minnie married Alexander Scott KUYKENDALL on 24 Aug 1906. Charles Scott KUYKENDALL was born on 24 Aug 1906. M ii Joseph E. KUYKENDALL was born on 17 Aug 1908. Joseph E. KUYKENDALL [Parents] was born on 17 Aug 1908 in Near Champaign, Illinois. Joseph was married.
. married Joseph E. KUYKENDALL. Ralph De Golyer HUBART was born on 28 Feb 1881 in San Francisco, San Francisco, California. Ralph married Belle Sheridan HOUSTON. Belle Sheridan HOUSTON [Parents] was born on 6 Sep 1883 in Louisville, Jefferson, Kentucky. Belle married Ralph De Golyer HUBART. Judge WHITE. Judge married KUYKENDALL. KUYKENDALL [Parents] was born about 1879. KUYKENDALL married Judge WHITE. Judd DVORAK. Judd married Nancy GRIFFITH. Nancy GRIFFITH [Parents] was born in 1953. Nancy married Judd DVORAK. Jacob HOLSHAUSER. Jacob married Margaret STUTTER. Margaret STUTTER. Margaret married Jacob HOLSHAUSER. 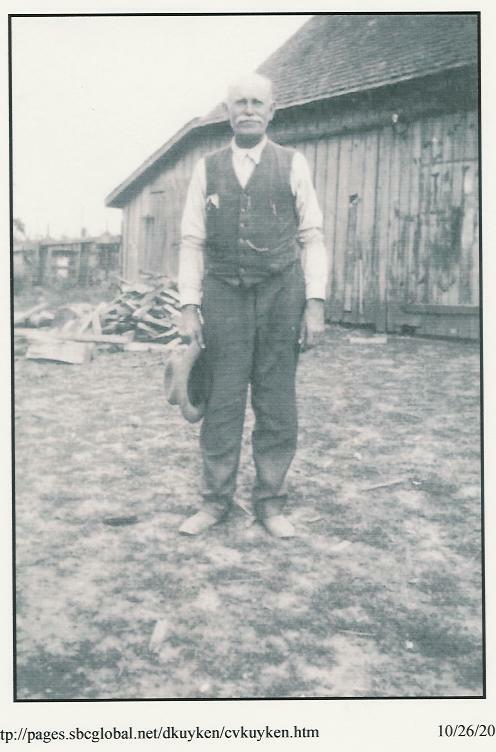 Charles Vance "Charlie" KUYKENDALL [Parents] was born on 2 Feb 1851 in 6 Mi North of Romney, Hampshire, Virginia (Now W. Va). He died on 3 Mar 1926 in North Yamhill, Yamhill, Oregon. He was buried in Pike I.o.o.F. Cem, Yamhill, Oregon. Charles married Eliza Jane DAVIS on 24 Apr 1875 in North Yamhill, Yanhill, Oregon. Eliza Jane DAVIS [Parents] was born on 17 Nov 1855 in Yamhill, Yamhill, Oregon. She died on 23 May 1931 in , Yamhill, Oregon. 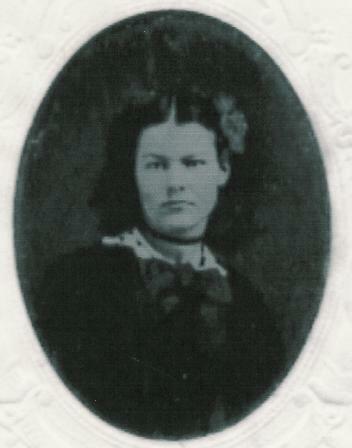 Eliza married Charles Vance "Charlie" KUYKENDALL on 24 Apr 1875 in North Yamhill, Yanhill, Oregon. Lessa KUYKENDALL was born in Jun 1875 in , , Oregon. F ii Lena Myrtle KUYKENDALL was born on 12 Jun 1876. She died in 1960. F iii Estelle Blanch KUYKENDALL was born on 17 Nov 1877. She died in 1960. F iv Zillah Belle KUYKENDALL was born on 2 Sep 1879. She died on 9 Jul 1954. M v Lawrence Hugh KUYKENDALL was born on 25 May 1881. He died on 13 Feb 1962. F vi Kathleen Evelyn "Kit" KUYKENDALL was born on 21 Mar 1883. She died on 22 May 1946. F vii Catherine KUYKENDALL was born on 21 Mar 1883. F viii Jennie June "Jean" KUYKENDALL was born on 15 Jun 1885. She died in Sep 1972. F ix Nannie Hazel KUYKENDALL was born on 14 Jan 1888. She died on 6 Feb 1967. Infant Twin Son KUYKENDALL was born on 14 Jan 1888 in North Yamhill, Yanhill, Oregon. He died on 14 Jan 1888. He was buried in Yamhill Cemetery, Pike, Yamhill, Oregon. F xi Mary Lulu Veo "Mollie" KUYKENDALL was born on 14 Apr 1891. She died on 22 Feb 1948. M xii Charles Davis KUYKENDALL was born on 18 Nov 1892. He died on 16 May 1980. Opal Eleanor KUYKENDALL was born on 15 Nov 1895 in , Yamhill, Oregon. She died on 16 Apr 1901 in , Yamhill, Oregon. She was buried in Yanhill Cemetery, Pike, Yamhill, Oregon. M xiv Marvin Glenn KUYKENDALL was born on 17 Oct 1900. He died on 15 Jan 1987. Robert Whitefield AGNEW was born on 6 May 1776 in Rock Creek, Guilland, North Carolina. He died on 13 Sep 1845 in Henderson, Henderson, Kentucky. Robert married Elizabeth White "Betty" HARDIN on 1 Jun 1797 in Robertson City, Tennessee by Rev. J. Davis. Elizabeth White "Betty" HARDIN [Parents] was born in 1773 in , , North Carolina. She died on 24 Jan 1850 in Henderson, Henderson, Kentucky. Elizabeth married Robert Whitefield AGNEW on 1 Jun 1797 in Robertson City, Tennessee by Rev. J. Davis. M i John M. AGNEW was born on 11 Jan 1802. He died on 14 Oct 1861. John M. AGNEW [Parents] was born on 11 Jan 1802 in Henderson, Henderson, Kentucky. He died on 14 Oct 1861 in Henderson, Henderson, Kentucky. John married Henrettta ASHBY on 21 Mar 1827 in , Henderson, Kentucky. Henrettta ASHBY was born in 1810 in , Hopkins, Kentucky. She died on 4 Feb 1852 in , Todd, Kentucky. Henrettta married John M. AGNEW on 21 Mar 1827 in , Henderson, Kentucky. F i Mary Magdalene AGNEW was born in 1830. She died in 1886. Peter Sylvester SNIDER was born on 14 May 1824 in Metz, Alsace, Lorrane, France. He died on 17 Jul 1906 in Hector, Pope, Arkansas. Peter married Mary Magdalene AGNEW. Mary Magdalene AGNEW [Parents] was born in 1830 in , , Kentucky. She died in 1886 in , Pope, Arkansas. Mary married Peter Sylvester SNIDER. M i James Mitchell SNIDER was born on 20 Aug 1851.